Prep surface of night stand and drawer by sanding any rough areas, if necessary. Wipe down surfaces to remove dust and particles on the surface. Mask off areas of drawer that will not be painted. Apply even coats of paint in a side-to-side motion to front of drawer. 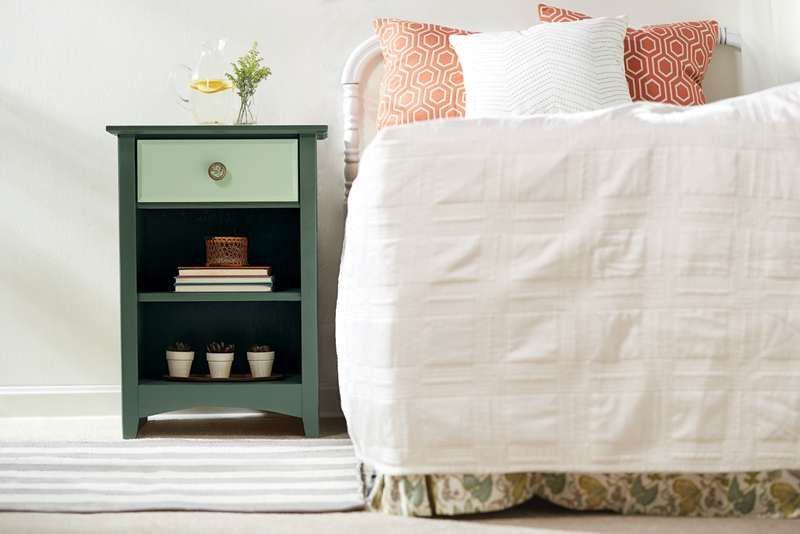 Apply even coats of paint in a side-to-side motion to night stand. Recoat until drawer and night stand are completely covered.